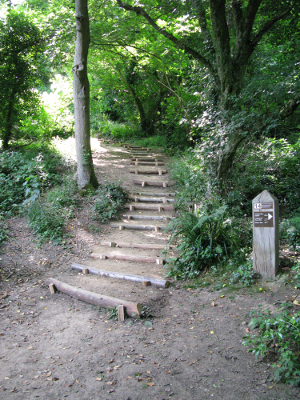 There are in excess of 550 rustic steps throughout Hastings Country Park and are made from Sweet Chestnut. 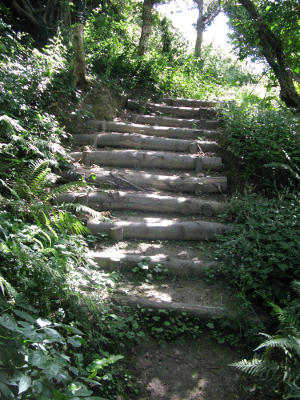 These need replacing from time to time and the photos show part of the 50 at Smugglers Steps that we replaced in May 2014 and the completely new steps in Ecclesbourne Glen that we installed after a landslip in November 2014. 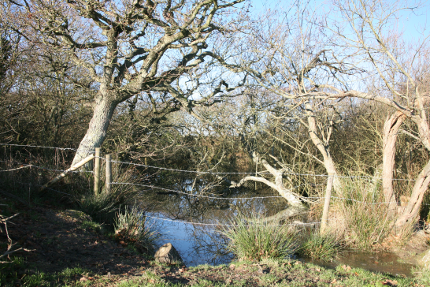 Saxon Pond was a long term project started in February 2008 and finished in January 2012. In 2015 we are returning to cut the willow regrowth to maintain the vastly improved habitat that has seen moorhen breeding from the first year onwards and large numbers of Emperor dragonflies in 2014 and 2015. We also control Parrot’s Feather, a South American aquatic plant introduced to this country for garden ponds that has escaped into the wild and is highly invasive and can cover an entire pond if not controlled and is very difficult to eradicate entirely. 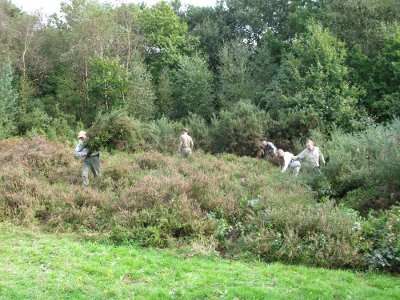 The group regularly controls gorse,bracken and bramble in areas of heather on the Firehills, North’s Seat and Warren Glen. Doing this allows the heather to thrive and slowly spread out. We undertake planting to remove gaps, maintenance of such planting and cutting back on footpaths. 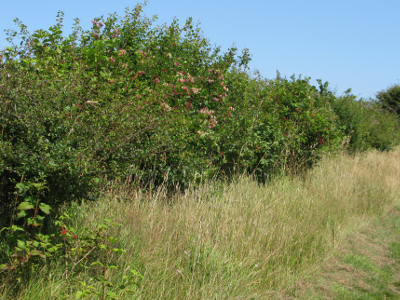 This photo shows hedging that we planted in 2006 where there was mostly gap and no hedge. It is now well established. 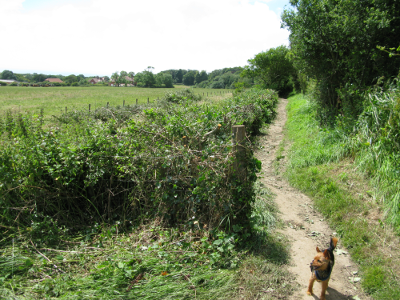 This section of hedge along the same path was laid by us in August 2014 which not only improved the wildlife corridor by filling the gaps but also gave visitors an outstanding view and allowed the path to dry up quicker. We shall now keep it maintained to this height. 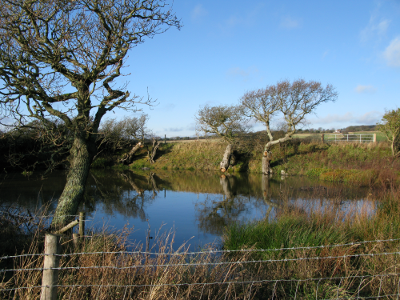 Much of Autumn/Winter 2014 was spent on varied tasks to help with work that is required to be undertaken under Hastings Borough Council’s Higher Level Stewardship (HLS) agreement with Natural England. This included heather patch work as already mentioned, gorse removal in a heathland restoration compartment and scrub removal in the Quarry. The work in the Quarry not only fulfilled HLS requirements but also improved it for visitors by creating space in a popular part of the park that was becoming difficult to walk through and re-opening a path along the Quarry face that had been impassable for many years. 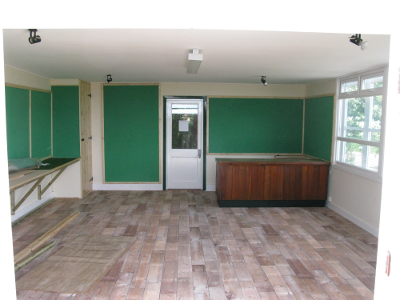 In April/May 2009 the Visitor Centre was closed for 4 weeks in which time the Volunteers achieved a total refurbishment which included making new wall display units, fixed display units, a new cupboard and a movable central display unit. A new ceiling and Flotex carpet were installed by contractors but everything else was carried out by volunteers on a tight budget and even tighter timescale. The long hours were rewarded by the amount of very complimentary feedback left in the comments book after the Visitor Centre re-opened.